Court Location. 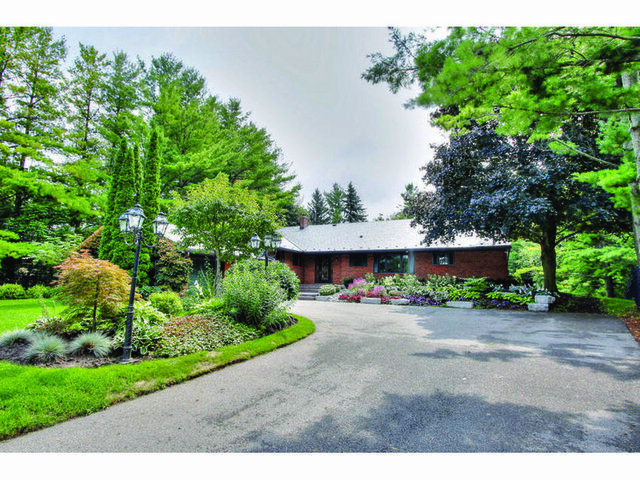 Backs Onto Conservation W/Optimum Privacy & South Exposure Rear Grounds. 1.07 Acres. 5,674 Sq.Ft. On Main & L/L. Gourmet Kitchen W/Bleached Maple Cabinetry, Ss B/In Appl's, Gauged Slate Flrs & Breakfast Area W/Cove Lighting, Flr-To-Ceiling Windows & Private Country Views. Stained Ash Hrdwd Flrs. Living/Dining Rm Have Decorative Waffle Ceiling W/Maple Panels & Led Pot Lights. Fin W/O L/L W/Lrg Rec Rm, Wall-To-Wall B/In Shelves, Pot Lights, Wet Bar, Ample Storage,2 Add'l Offices & 4th Bdrm. Front Grounds Prof Landscaped W/Wrought-Iron Fence & Gate. Metal Roof(2016) W/50 Yr Warranty, Pella Windows (2011), Furnace (2009), Sprinkler Sys (2006) & Solar Panel Sys W/Rebate Program.